Two blockbuster concerts in one. You'll be dancing in the aisles all night long! 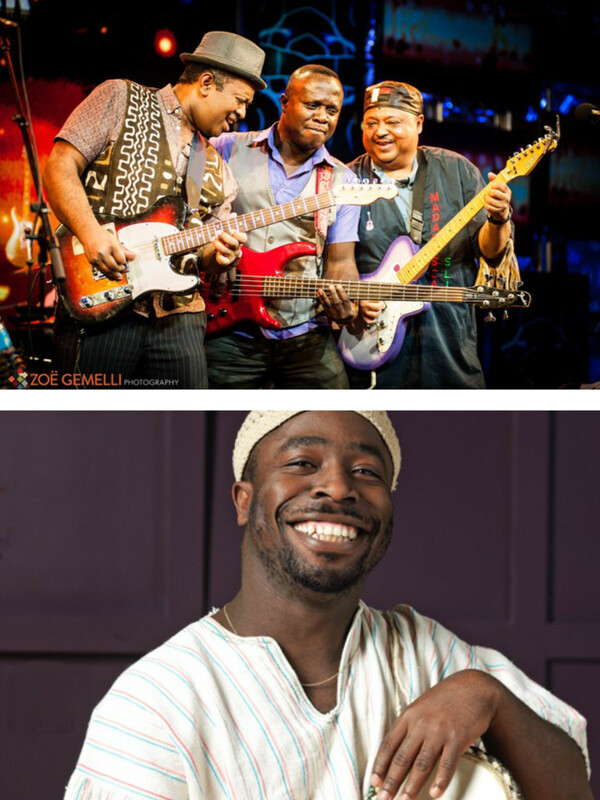 Concert starts at 8 pm with opening act Malagasy Roots and Boukman Eksperyans in part two. The band Boukman Eksperyans is, without contest, one of the most representative groups of the “Rasin” movement, which advocates for a return to the afro/euro/indigenous roots of the Haitian identity. The group Boukman Eksperyans inserts itself in the historical lineage of rebellion. Boukman Eksperyans’ politically engaged lyrics and songs are most often about political liberty, nationalism, and faith. After more than thirty active years as a band and 11 albums, the group still leads the “Rasin” movement. Welcomed by new generations, the band was invited by the Haitian-American band The Fugees to record the album “Revolution” in their New Jersey studios. Boukman Eksperyans is one of the most well-known Haitian bands on the world scene, where they incorporate different voodoo rhythms. Their latest opus, the show “isit e kounyela”, pays homage to the present moment with its small fears and bouts of madness. This concert is sponsored by Francophonie en fete, an organization committed to promoting Canadian French music and culture from across the globe. Discover the BOUKMAN EKSPERYANS sound! Malagasy Roots features 4 JUNO winning artists, guitarists Madagascar Slim and Donne Roberts, with percussionist Kofi Ackah and bassist Ebenezer Agyekum. Donne Roberts, one of the finest guitarists to come out of Madagascar, is a passionate performer with an energy that immediately exhilarates the crowd. Madagascar Slim is a highly accomplished guitarist who combines folk, blues and Salegy music in his own award-winning style. Master percussionist Kofi Ackah is the son of the late King of Highlife music, Jewel Ackah, he trained under the watchful eye of his famous father. Ebenezer Agyekum is a talented bass player and proficient in various African music genres.